This entry was posted on Monday, February 23rd, 2009 at 12:53 pm	and is filed under business, irishblogs, technology. You can follow any responses to this entry through the RSS 2.0 feed. Both comments and pings are currently closed. Ever since Eircom came to a settlement with the labels, this has been on the cards. Now that Eircom have capitulated, they’re going to find themselves at the beck and call of the labels, and there is nothing that Eircom users can do about it. I predict that Eircom will soon find itself in the position of having to monitor all their users traffic, just to keep the labels happy. Monitoring their entire network will cost money, which will be passed on to the end user. And that’s just the monetary aspect, traffic monitoring has serious privacy implications. If I was an Eircom customer I’d be changing providers, not because they’re blocking torrent sites, but because they’ve left themselves, and by extension their customers, open to a whole raft of monitoring and privacy issues. I’m glad I’m not an eircom customer (not that we have the choice here). I hope their customers kick up a big fuss. I wouldn’t be at all happy if my ISP blocked websites, it would be like you were paying for only half a service. This goes against everything the internet stands for, I want to have the choice to view what I want when I want it and not get told like a bold child not to view certain websites. Nice post Damien as this issue is only going to get worse as the nanny state tries to interfere in our freedom to consume the content we want on the Internet. this is it in a well articulated nutshell. This a joke right!? Censorship?? Wow, talk about a backward country. Well thats one way of solving the national broadband problem. If all ISP’s take this attitude no one will be lashing the cash for BB subscriptions. I don’t think handgun bans are justified because anyone who wants to use a handgun illegally will find a way to obtain one. Unfortunately, I think that blocking the obvious torrent sites _will_ reduce opportunistic illegal downloading and will thus be hailed a success. Of course, not one of those averted downloads would have prevented a sale of a licence for the content – the frustrated would-be downloader will simply give up. The right thing to do is for media companies to provide content online without geographical restrictions, and thus earn some revenue from those not inclined to pay full price. It’s not going to stop the people who swap the most music. They’ll just proxy their traffic through an ssh tunnel to their web host and continue as normal. Stupid and frightening development. And something similar is happening in New Zealand. But there, it’s going to be written into the law. What *is* going on? I thought it ominous that the BBC could so easily ban their content from being seen on an iplayer outside the UK. They are happily ignoring the many people who have coughed up a license fee to the Beeb all their lives. WE probably know there are legitimate reasons for using torrents and torrent search sites but Joe/Josie Soap do not understand this. As @Donncha mentioned there are probably ways and means for the odd hacker but for the Jo Soaps it becomes just too scary to step out of line. As others have mentioned it IS about civil liberties. Who has the right to decide what I can and cannot use the internet for? In my book certainly not the record companies and/or Eircom. As someone who really knows their onions said to me a few days ago, Google essentially owns the internet now and this has created and incredibly dangerous situation for users rights, as citizens in China have found out. It only take a little colusion between Google and the Chinese goverment and Chinese citizenry don’rt get to see the same internet as the rest of the world do. Admittedly China has instituted it’s own filters but the collusion of Google is what is most disturbing. We have all been working for Google for years helping build their databases and refining their results but they have no accountability to us. Pirate Bay is no more than a search engine that has a rather…um… pirate attitude. The powers that be don’t like it and will close it down. It is very hard to see the big picture on the constantly evolving situation. Is FaceBook becoming the new email? Will we conduct every kind of interpersonal communication within their walled garden soon? The penalty for any indiscretion within Facebook could be that you lose the privilege of communicating with any of your friends or family. Will that not be more than a little like being in prison? In the last few years civil liberties have been eroded all around the world with to onset of the ‘war against terror’ we must fight for the basic freedom of expression for everyone and the tools are in our hands. As Damien has been repeating for years ‘Invisible People have Invisible Rights’. Make sure you are seen (and heard). 99% of people are being punished for what a tiny percentage of people are doing. Sometimes this can be justified. Handgun bans etc. Not a handgun man myself but this comparison doesn’t hold up – licensed guns in Ireland aren’t the root of problems. Registration is tight enough. The 99% paying for the one percent of downloaders is a bit of a sheltered view IMO. Studies have shown that at times upto 95% of all internet traffic across Europe is made up of P2P protocols. Thats why I reckon BB take up will seriously suffer if Johnny thinks he can’t get his free stuff online anymore. Is Eircom applying this to “only” their broadband customers or across the whole of their physical network? It is worth pointing out that the Pirate Bay trial in Sweden has revealed that 80% of content on the Pirate Bay is actually “legal” and legitimate. Prohibiting access to the Pirate Bay was attempted in Italy and was over-turned in court. It is the thin end of the wedge though – ISPs censoring the internet at the behest of corporations. If the ISPs are to extert time and money in policing the web, then surely it should be to filter out websites that promote hate/racism/violence/child abuse/extremism and even then, it is setting a precedent for encroaching further on the freedom of the web. The elephant in the room is that the music industry needs to change with the times and seriously reassess their model for revenue. Radiohead and Nine Inch Nails probably have it right when they sell their album directly to fans online, who can then donate what they feel is appropriate for the music and eliminate the middle-man entirely. How extravagant and proliferate the music industry was – look at the how much was spent on “candles and flowers” when their accountants assess the books – candles and flowers being an euphemism for drugs. “Creative destruction” is the term right wing economists used to apply when they justified the closing of coal mines as they were deemed obsolete and not in need with the requirements of a modern economy anymore. Coercing ISPs to ban websites smacks of desperation and totalitarianism. While I understand the need for artists to earn a living through copyright and royalties, I now spend more time watching YouTube videos & presentations than I do listening to music or watching tv. The result of this is the discovery and purchase of music by new artists or older gems I manage to stumble upon which has opened up an excellent new income stream for musicians, presenters, creative ideas, learning, tourism etc…. If the corporates pursue this train of thought to its (their) logical conclusion etc……… as Damien states ……where does it end? We try to be more pro-active when blocking/unblocking access to sites, however, it is very difficult because there are so many interested parties (HR, Legal, Business, IT Security, Risk, Compliance) and everyone wants to protect their own little patch without actually taking ownership of the resolution of the issue. More often than not, the resolution of the issue falls back to the system administrators/engineers as they are only ones who truly understand how the proxy/URL filter works and possibly because they own the device itself, they care more? Unfortunately this takes techies (sys admins etc.) away from their true “work”. It’s slighty different for us because we, as a corporate company, have a legal responsiblity to protect our staff and the company itself, whereas I don’t believe Eircom have this – as James said above – Eircom customers should be able to choose what they want to browse. Eicrom have taken the easy decision to block and don’t really care about civil liberties. I can only see situations like this becoming more frequent and possibly worse because so few people understand (or should that be “try to understand”) the actual technology and more often than not, take the easiest decision supporting those who shout loudest (in this case the record companies, who have never truly embraced the digitial age). Re. 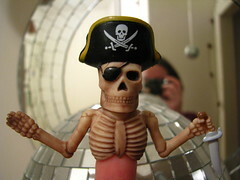 Google and DeepSpin’s point – the amount of information Google have is scary and that’s why it’s such a treasure-cove for hackers – see Johnny Long’s Google Hacking Database – http://johnny.ihackstuff.com/ghdb.php. I’ve been following this story with interest as it has gathered pace of the last while. Quite shocking what they are intending on doing let alone the fact that they will be getting away with it!? It will also be interesting to see as Evert Bopp asked above, whether or not this will only effect Eircom BB users or will it be rolled out across their entire network. In this instance, the anit-populist view of the IRMA action makes an amicus curiae case much more likely in the High Court.